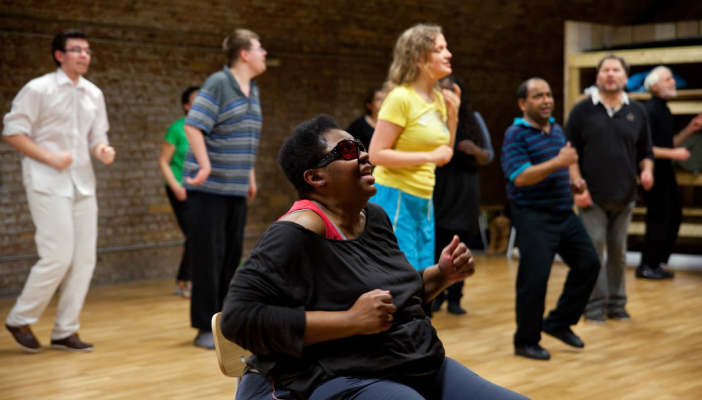 Extant, a theatre and performing arts company for people with vision impairment, and Birmingham Vision have teamed up to deliver a new project for people in the Midlands. They are looking for expressions of interest from people who would like to build their feelings of confidence, independence and well-being and forge new relationships, using drama skills. Individuals need no previous experience but they ask that you give a certain level of commitment for a weekly project starting in January 2017. Anyone aged 18 or older with enthusiasm, commitment and a desire to challenge their personal boundaries in a supportive environment. Location: To be confirmed – most likely in central Birmingham, with good transport links. Dates: To be confirmed – most likely starting mid-January. Time: Sessions will be run on a two hour basis with the possibility of some extending beyond this. Cost: Participation is free – access support will be provided where required. To register your interest and book onto the project, please contact Shazia Begum at [email protected] or on 01216326180, or Jodie Stus at [email protected] or on 02078203737.